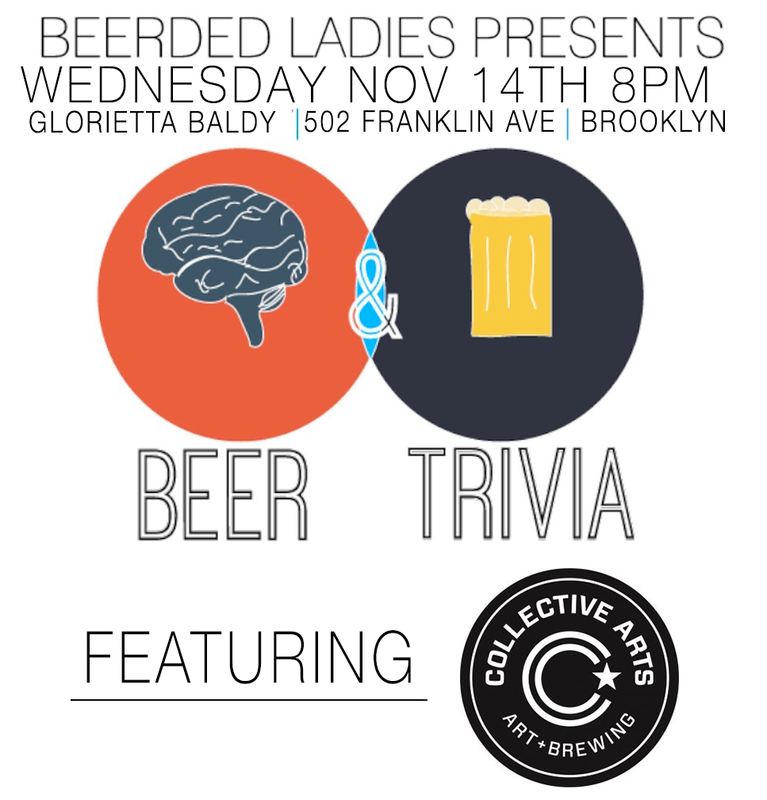 On Wednesday, November 14th at 8PM, join Beerded Ladies for four rousing rounds of brain-busting competition, amazing tap specials and lots of sweet, sudsy prizes for the champs. We’re thrilled to announce that this month's event features none other than our brothers to the north, Collective Arts Brewing! The crazy Canadians are coming down to rep their crafty crew, bringing along a selection of bargain-priced drafts as well as some fancy swag for the evening’s winning team.